In this haunted house you play as a boy on a tricycle who must explore the halls of a haunted hotel in order to find 5 notes so that he may escape. Will you survive the ghost triplets? To play enter full screen and make sure you click the click button under the click team fusion logo. 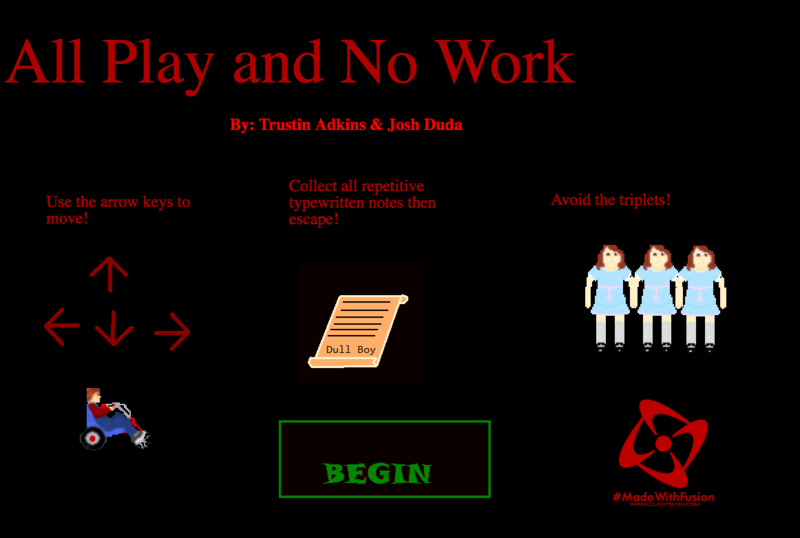 This game was created by Josh Duda and Trustin adkins in only 14 hours. The game won't start for me. Is this just me? Thank you for the feedback. To address this we allow the use of fullscreen. To do so, click the full screen symbol in the bottom right corner and click the button bellow the game window says click to enable actions to be performed on the screen. Enjoy!